Pipa is an ancient Chinese instrument related to the lute. Yang Jing is a world famous traditionally trained virtuoso. She shares her vision with three distinguished members of the Swiss jazz and free improvisation communities: pianist Michel Wintsch, bassist Banz Oester and drummer Norbert Pfammatter. She is not a novice in the field of improvised music. She performed with Pierre Favre and Max Roach. 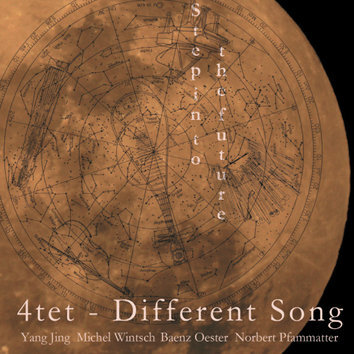 The music on this CD is the result of a special chemistry between musicians and the unusual combination of instruments brings fascinating and totally unpredictable sounds and structures.